Rachel was born and raised in Louisville, KY. Besides traveling around the world playing volleyball, her only time of living away from Louisville, was during her college years. After college, she found that home is truly where her heart was so she decided to plant her own roots in Louisville. She a proud mom to 2 and stepmom to 3. She practices yoga with them almost daily. “It’s refreshing to have my best yoga class critics under my roof.” As a certified children’s yoga instructor, she encourages children of every shape, size, age and gender to explore and discover their mind and body in a fun-filled way. She has found that her nurturing and fun personality guides children without them realizing, by teaching them skills and techniques to help their bodies become healthier, stronger and more relaxed. Cami is originally from St. George, Utah and comes from a family of eight children. She grew up playing basketball, softball, soccer, and doing theatre and modern dance. She graduated from Point Park University (Pittsburgh, PA) with a B.F.A. in Musical Theatre. After touring the country, and several parts of the world, performing in shows, she landed herself in Louisville in 2013. Though she had originally came her for work (doing theatre), what has kept her here is the incredible community and possibility Louisville has to offer. She is still a local actress & director that works at Stage One Family Theater and Derby Dinner Playhouse. 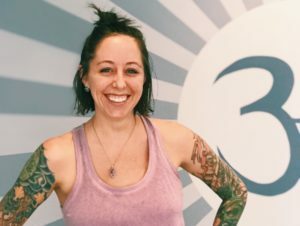 Along with being a E-RYT 200 certified yoga teacher (from 502 Power Yoga), she is a certified YOD™ instructor, has over 40 hours of Hands on Assisting training, and an additional 100-hr Level One Baptiste certification. In her spare time, she likes to spend time with her husband & family, she enjoys going camping, hiking, and baking delicious treats. Whether it’s teaching yoga, meditation, dance, or theatre, she absolutely loves working with kids of all ages! She encourages her students be bold, courageous, and invite in a sense of play… while meeting themselves with compassion, ease, and joy. 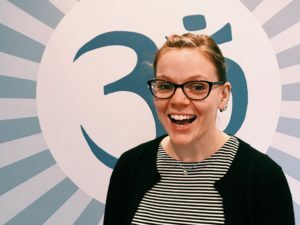 With the yoga programs she has created, she has not only seen her students leave with more strength and flexibility, but they also walk away with an overall grounded awareness, and a greater sense of confidence in who they are. Tina grew up in Louisville and after living away for about 7 years, she came back to stay. She graduated from the University of Kentucky with a Bachelor’s degree in Social Work and the University of Louisville with a Master’s in Social Work. She has dedicated her career to creating a world without violence and creating safe, loving spaces for all people. When Tina started doing yoga 4 years ago, she knew that it aligned with her own personal mission. 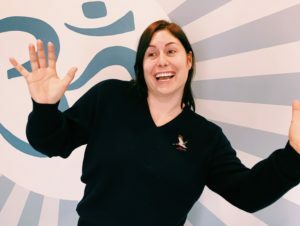 Tina loves to teach yoga as a way to give people the tools to cope with life when it gets hard and to also create a space for fun, play, and discovery! Tina is a mama of two little ones and a couple of dogs, loves to hula hoop, and hates to be bored. She has worked with kids of all ages in lots of different ways but she doesn’t like to refer to it as ‘work’ when she is having so much fun! Nikki Tonini, a Louisville native, has been a Registered Nurse for 10 years, and currently works in the operating room. Her passion for yoga began 5 years ago as a new student looking to de-stress. On her mat she discovered that linking breath and body movement reduced anxiety and helped her reconnect with her body. After noticing positive changes in her own life she became eager to help others along the same journey. She graduated RYT-200 from 502 Power Yoga and is a member of the Hands on Assisting Team and Teaching team. 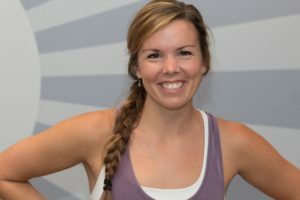 She also teaches for Kentucky Yoga Initiative and community classes around town. She is excited to blend her background in medicine and knowledge of yoga to help heal the human body on a more wholistic level. 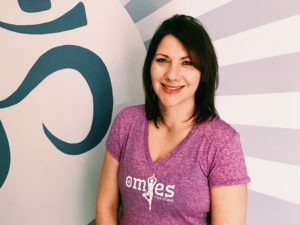 She loves the enthusiasm and creativity children bring to the practice of yoga and believes that yoga teaches coping skills that can be used on and off the mat. When Nikki is not working and teaching she enjoys spending time in nature and camping. She feels most alive and at peace outdoors. One of her favorite memories is when she lived in Colorado and worked as a camp counselor exploring the outdoors with children. She believes that body movement and adventuring are an essential part of life. Melissa has been teaching yoga to all ages and abilities since 2016. Sharing her joy and excitement for yoga is one of her favorite things (this includes teaching every chance she gets). 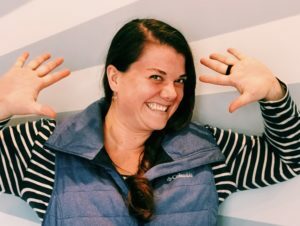 When she’s not having fun yoga-ing, she spends time with her family (including Henry and Bean, the French Bulldogs), friends, and works at Big Brothers Big Sisters. Gina is originally from Pittsburgh, PA. Growing up, her family moved around quite a bit, but eventually sought roots in Louisville, making it their home. Gina graduated from Indiana University with a Bachelor’s degree in Psychology. After college, she moved to Chicago where she began her career in fundraising, development and nonprofit management. Life brought Gina back to Louisville six years ago, and she hopes to forever call it her home. Gina and her husband Jeff have three young girls that are true gifts and bring them some of life’s greatest joys. Gina is also a mama to two snuggly kitty cats that warm her heart and her bed at night! Yoga has been a common thread in Gina’s life for the past twenty years, but has justly grounded her in the last three. The everyday benefits have been astounding and have changed her life for the good. Yoga creates a safe space for Gina to step outside her every day. Her practice is a place where she trusts her instincts and gives herself the most deserved grace. Selfcare has become imperative to Gina and her yoga mat is the most peaceful home to do just that. Yoga generates lightness in her wings and Gina wants nothing more than to give others the same feeling of release. Gina believes that yoga is for everyone and age creates no boundaries. Why wait until adulthood to understand the simply fantastic benefits of one’s mind/body connection? Gina brings her fun, creative and kind heart to her yoga practice, especially when her girls are “down-dogging” right beside her. Beth is originally from sunny Santa Barbara, CA, and after moving to Louisville over four years ago, she is still adjusting to seasons. For a literal lifetime, working with children and families has been her passion. 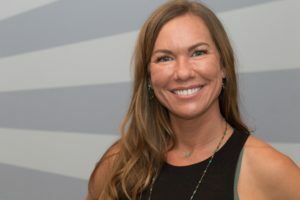 As a longtime preschool teacher, she believes the early years are unequivocally important and that cultivating powerful, self-assured children requires the integrated support of a child’s family, teachers, and community. She sees this same synergy at work as a practitioner of yoga, in the essential union of breath, movement, and intention. These days, Beth gets to exercise both her knowledge of early childhood development and breathing through discomfort in her role as a stay-at-home mom to her adorable and opinionated daughter, Melby.